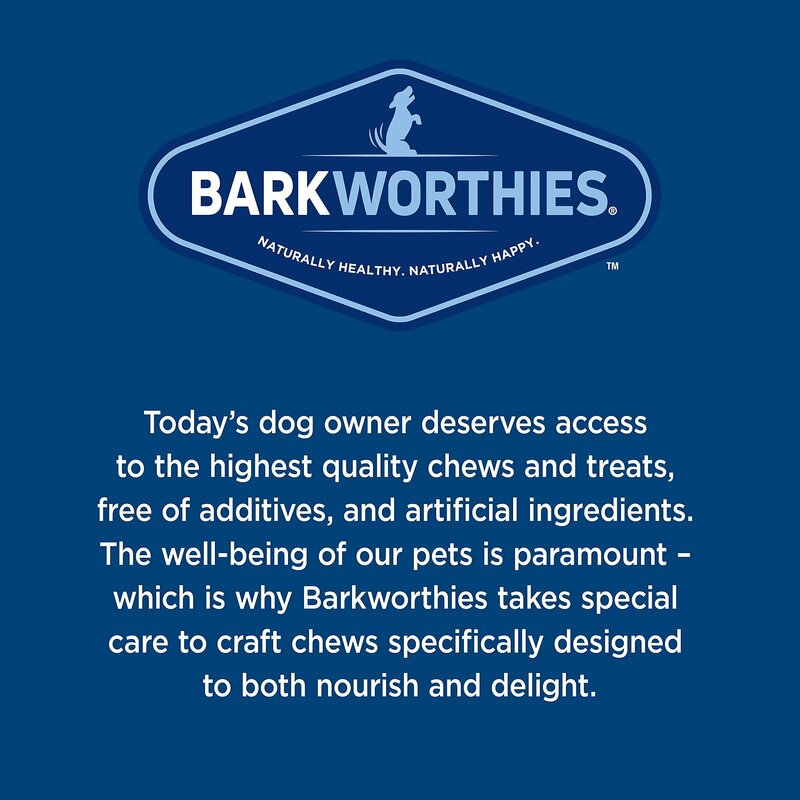 Barkworthies are preservative-free, hormone-free, and antibiotic-free. Contains no grains or gluten. Both the chicken feet and duck feet are great quality and all three dogs adore them. The correct amount of feet arrived sealed in the box. Thank you! I was really disappointed in these chicken feet. Almost of them were broken into pieces. I don't think most were ever a whole chicken foot to begin with. Would not purchase again. I've gotten great items from this site before but this is not one of them. My dogs love them! They are really good for dogs that need their ears to stand such as German Shepherds. My furbaby loves them way to much!!. She knows where I keep them and begs for them..LOL..Was disappointed I did not get my 20 % off on first order. My dogs LOVE these. They come running as soon as I open the box. I bought these after trying turkey feet for my dog, who didn't want them-took her a week to even decide to eat one. but these...she completely turns her nose up at! she wont even smell them. I had hoped the smaller size might entice her to chew on them. Alas it didn't work. Its not the products fault, I just have a picky dog. Maybe my new puppy will enjoy them when she gets here. The chicken feet treats I purchased were a hit at the Boarding kennel. My dog has a sensitive stomach so we are picky about what we give him. These look gross but he loves them. My mellow dog goes crazy when we go in the closet they are kept in, hoping we will pull out a chicken foot. 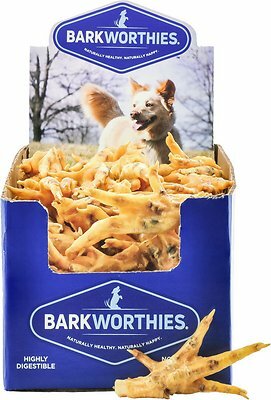 I have six dogs so it is great to be able to purchase a large, more economical box of these than what is available at my local feed store. Figure I will divide some up into little gifts bags for dog training buddies' Xmas presents.